Old Fashioned Goulash – The same American goulash recipe that you grew up with. 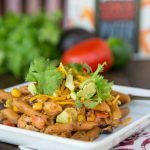 A hearty recipe that the entire family can enjoy any night of the week. 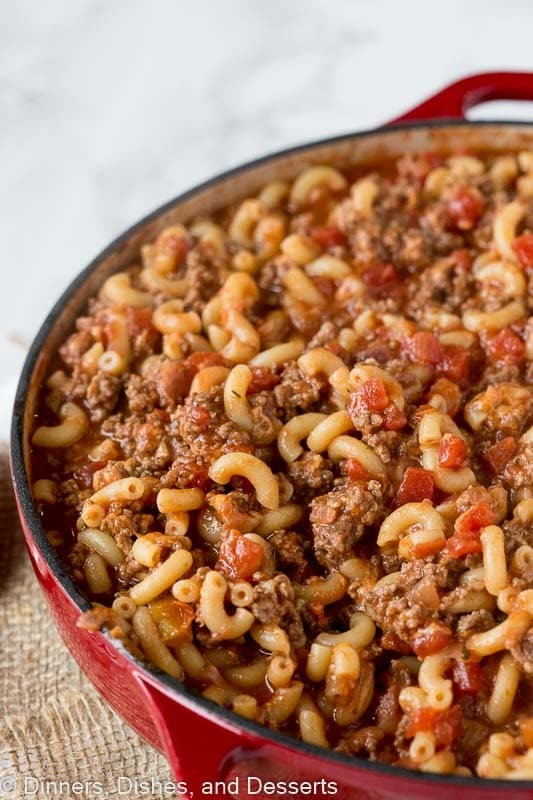 I grew up in the Mid-West where old fashioned goulash was a staple. My mom made it all the time growing up, and it was something that she grew up with as well. It is one of those recipes that just keeps getting made generation after generation. Kind of like the homemade brownies recipe that I have had memorized since I was 8 years old. This American goulash recipe is the one I grew up with. You cook everything on the stove top, and then bake until all the flavors come together and it gets bubbly and hot. 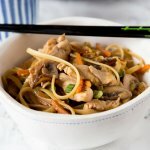 The theme for my cooking club recently was family favorites. It isn’t often that I actually play by the rules for cooking club, but this month I was fully on board for. And this beef goulash recipe was exactly what I made. And flourless chocolate cake, because that is one of my all time favorite desserts. A few of the people in my cooking club grew up in the Mid-West as well, so they immediately knew what it was, and was excited that I brought it. When I was getting the recipe from my mom, she said that it was always served with saltine crackers with butter. I had totally forgotten about those crackers until she mentioned it! So I had to introduce my family to this combination. My son thought it was amazing, my husband didn’t get it. But trust me, it is good. Kind of like cranberry chicken, you either love it or don’t. My husband stands by the only strange thing he will do with saltine crackers is crumble them over ice cream. So to make this old fashioned goulash, you brown the ground beef and onions together until they are cooked. Then just drain any fat and mix in the the tomato sauce and diced tomatoes. Once everything starts to come together, add in all the seasonings. 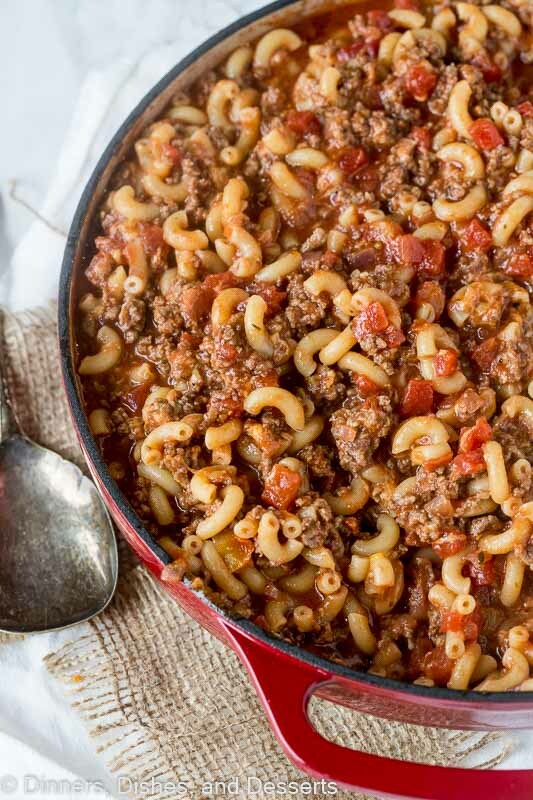 This beef goulash is baked so you want to make sure to undercook the noodles. Elbow macaroni is what you want to use. 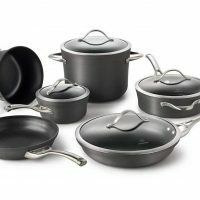 I just boil for 3 minutes less than the box says to. That way it doesn’t become completely mush when baked. Last thing to do is mix in a little cheese. When you mix in the pasta adding a little cheddar cheese to the mix makes it extra delicious. Sometimes my mom would mix in velvetta instead, but I stuck with cheddar. 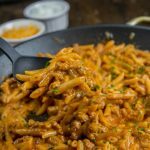 So if you want pure comfort food, something hearty and delicious you need to try this old fashioned goulash recipe. 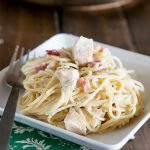 You will not be disappointed, and the leftovers are great for lunch for days! 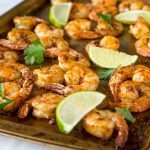 Try serving it with buttered saltine crackers and let me know what you think! Old Fashioned Goulash - The same American goulash recipe that you grew up with. A hearty recipe that the entire family can enjoy any night of the week. Bring a large bot of water to boil. 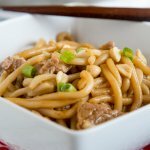 Cook macaroni for 3 minute less than the box directions. Drain. Heat a large skillet over high heat. Add ground beef and onions to the pan. Break beef apart, cooking for 6-7 minutes until browned. Drain any fat. Mix in garlic and cook for 1 minute until fragrant. Add in worchestershire sauce, tomato sauce and diced tomatoes. Mix until combined. Stir in Italian seasoning, salt and pepper. Taste and adjust seasonings to taste. 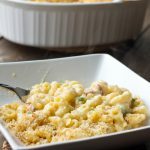 Mix in cooked macaroni and cheddar cheese. If skillet is heat safe, you can place in the oven for 20-25 minutes until bubbly and cheese is melted. Or transfer to casserole dish and bake. I add green pepper diced and saute that with onion and ground beef. My mom used to make this but she added peas, carrots and corn to it. My son won’t eat carrots so I leave them out. But sure wish I could use them. 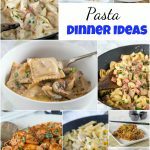 One of my favorite easy dinner recipes! Always a winner! I have never heard of goulash, but this LOOKS fantastic! 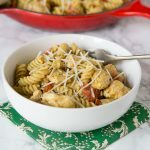 Such a great classic comfort food dish! So perfect for chilly weather! I grew up eating saltine butter crackers with chili, so I get it. Love this dinner! We love goulash at our house!! I can’t wait to try your recipe! It sounds amazing!! Oh yum! 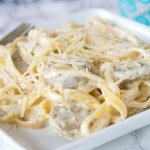 I’ve been all about nostalgic recipes from my childhood lately and remaking them. I want my kids to have those memories too. 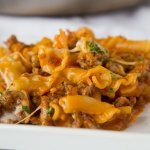 Since I’m from the south goulash wasn’t a super popular dish, but it looks like the perfect family dinner! Goulash is a favorite classic dish of mine! I have to try yours! I grew up in Wisconsin and we had this all the time too! We lived on a farm so beef was plentiful!! Sometimes my mom would add corn and mushrooms to help stretch the meal too. My sister nicknamed this “Death Casserole” because my made also made this for families who need meals after funerals. I haven’t had it in years, I look forward to trying your recipe! Can I make this without using diced tomatoes? Yes, but you will need more tomato sauce or even tomato soup to make up for the lost tomatoes. Enjoy! I used tomato purée worked perfect. My kids won’t eat chunks of anything. I even puréed the onions. In my family’s version, a can of cheddar cheese soup was used……Great memories! 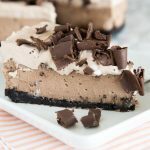 Alternatives to baking it? It’s just to hot in AZ to want to turn on the oven. You could just let it simmer on the stove until the cheese is melted and everything is bubbling hot. Enjoy! I used to make goulash when I baby-sat the neighborhood kids. They would come home from school at noon and a few times for lunch I made goulash, same recipe as yours but stove top. Years later when one of the boys was married and as I went to greet the bride and groom, he said (I will always remember your goulash). I grew up in Wisconsin. 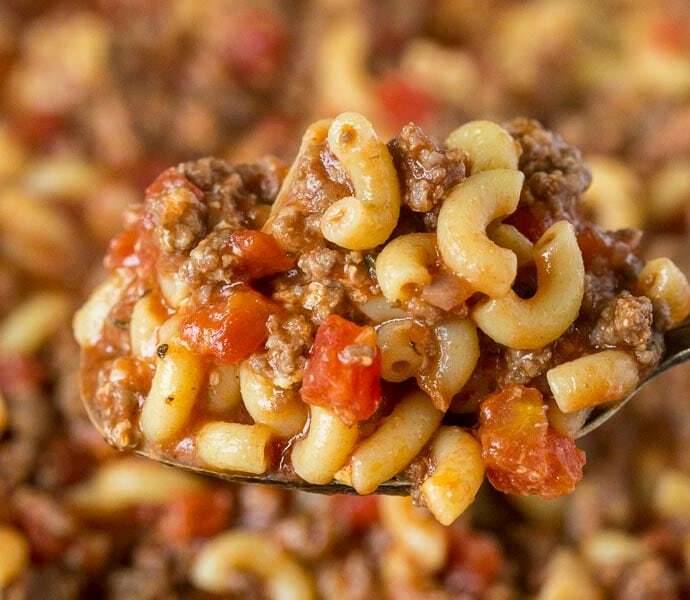 We have never baked our goulash or added cheese but your recipe sure sounds good. I will definitely give it a try next time. We always ate ours with a slice or two of bread and butter. In fact I never put butter on saltines until I met my husband. He loves buttered crackers with his chili. It is pretty good with chili so I will have to try it with goulash too! I grew up in Illinois. We always had white Wonder bread. We would take one slice, put goulash on it and fold in half. We also called it slumgullion. 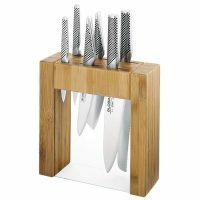 Staple in our house. Mmmm! So yummy, I loved this! Took another reviewer’s suggestion and served with bread and butter. I cooked my pasta the full 10 minutes and sauteed the onions before adding the ground beef cause I like them really soft. Will definitely make this again, so comforting and tasty! I also halved the recipe and completely filled an 8×8 inch casserole dish! Been making this for years. I remember my mother making this when I was a child. I cook the beef and onions to brown, add the canned tomatoes, 3 to 4 cans of water, and spices and simmer it for 20-30 minutes to meld flavors. Then add the dry macaroni and cook to desired consistency. Bread and butter yes. I’ll try the buttered crackers. 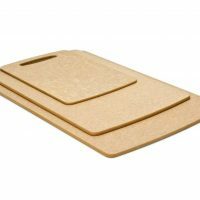 As for crackers, Zesta is ze besta! I tried this and was great! I’ll be using this recipe quite often it was also very easy to make. This is just Johnny Marzetti called another name. I have heard it called a lot of different names, but never that. 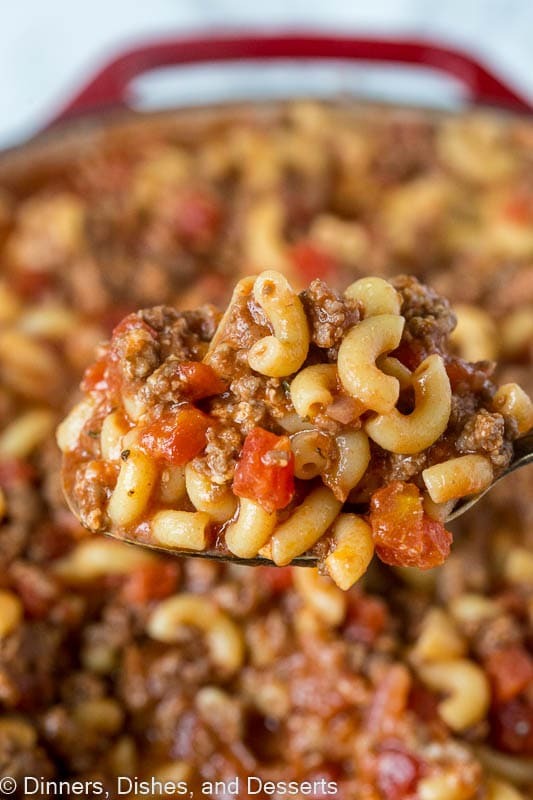 You can’t go wrong with an easy dinner like goulash! 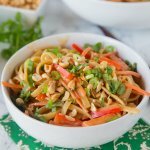 I am adding this to my dinner plans! 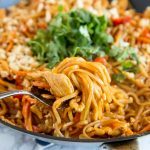 I love a kid-friendly, crowd-pleasing, comfort meal like this one! My mom was from Santa Barbara and we were raised eating goulash. She also put chopped celery in hers. She would also serve it with baked potatoes. So many carbs but oh so yummy! Thanks for the reminder. I live by myself; can half be frozen. Then thawed in refrigerator and baked. Alterative bake and freeze and reheated on stove top. Please advise best method. Yes you can freeze it. Make sure to under cook the pasta (or even cut the recipe in half). I would get the point of mixing it all together and then freeze. Then thaw and bake to warm it up when you are ready to eat. Enjoy! I grew up in Texas, and this dish was regularly served on our dinner table. We just called it “Mom’s Macaroni Casserole”. That’s also what it’s called in my recipe notebook, and I’ve been preparing it for years. My mom used Velveeta, and so do I. 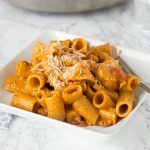 The one real difference between our recipe and this one is that we replace one of the cans of diced tomatoes with a can of Rotel Chilies and Tomatoes. We like things spicy in Texas! This is a wonderful family dish. My kids beg for goulash on a regular basis. Great family dinner! Comfort food at its finest! This looks amazing! 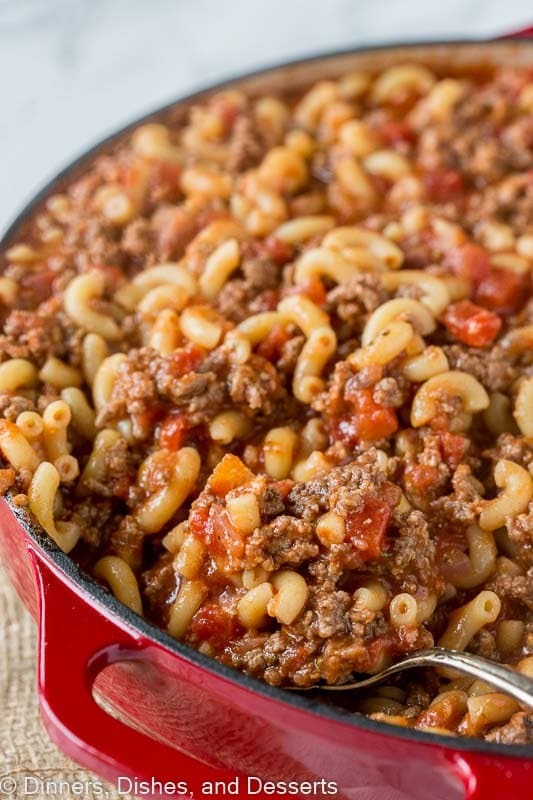 Goulash is one of my favorite meals, I can’t wait to try your recipe! We had this dish regularly when I was growing up in Milwaukee WI. So glad to see you eat saltines with butter. I cannot eat chili without my crackers and butter. My husband thinks I’m crazy – he never heard of this. We had this dish regularly when I was growing up in Milwaukee. And I love saltines and butter. My husband thinks I am crazy when I have saltines and butter with my chili. My family loves this dish! Erin, this goulash looks amazing! I can’t wait to make it! This is really a great recipe. I will make this at the next chance i get. Loved the recipe. Wished I would have thought to add peppers but was wonderful as written! I will make this again and add the peppers and maybe some cream cheese. Thanks for the recipe!